Tideline was a Heritage Lottery Fund project delivered by Bexley Council, working with writer Sarah Butler in Lower Belvedere. Sarah worked with volunteers, schools and groups to uncover hidden stories, poems and tales about the area, and from this rich source material crafted 4 new poems. 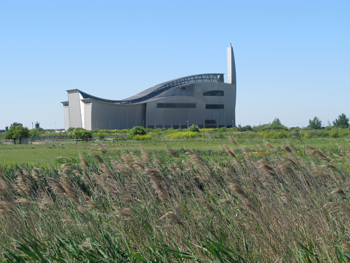 The project culminated in 2012 with a public art work, walking route across the marshes featuring Sarah’s writing and an exhibition that toured local libraries. All of this is captured in a beautiful project publication featuring photographic portraits by Eva Sajovic. The project also has a website belvederestories.co.uk where you can find out more. Our View ensured that the views and contributions of Deaf and disabled people informed every level; from the steeering group to project delivery. Accentuate was funded by Legacy Trust UK, creating a lasting legacy from the London 2012 Olympic and Paralympic Games across the UK. Screen South was the home of Accentuate. 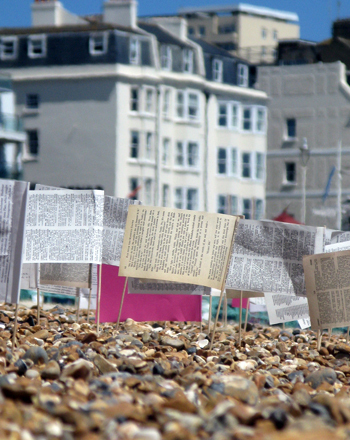 photo: Jon Adam’s Dysarticulate2, Brighton Beach, 2011 as part of Upstream, an Accentuate project delivered by DaDa South. Spread the Word commissioned a writer in residence to create a new piece of work exploring the many narratives that co-exist in the small but complex part of the city surrounding their office in SE11. Writer, Kat Joyce and Theatre Director, Nathan Curry responded to the brief, creating a project called ‘1 Mile Away’ which investigated the local area and involved local people in playwriting workshops. From the material generated, Kat scripted a site responsive promenade play that drew together the disparate narratives encountered during her process. 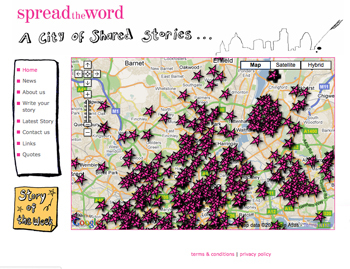 A City of Shared Stories website links 1000’s of new stories and poems to locations in London. Commissioned by Spread the Word, London. Professional development training project for deaf and hearing artists, funded by Arts Council, delivered in partnership with SPACE, London. Arts Council, delivered at SPACE, London.